sherapop's salon de parfum: Is Pierre Montale William Shakespeare? Over the course of the past year, perfumistas have been debating whether Pierre Montale is or is not the nose behind the perfume house bearing his name. Clearly Montale is the creative director, but does he exert any real influence over the compositions poured out by his house? 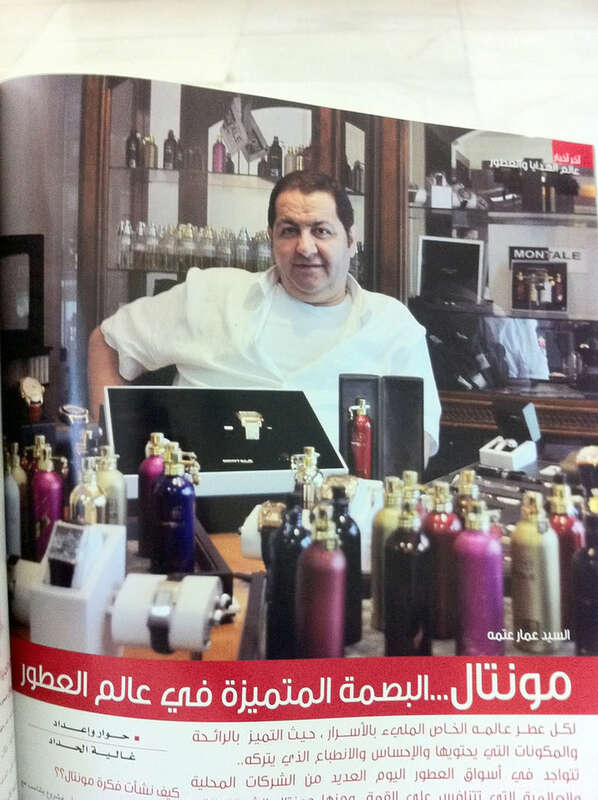 Or is an obscure Palestinian man, Ammeh Atmeh, working behind the scenes in a shop somewhere in the United Arab Emirates, really the genius behind the launches for which Pierre Montale has become famous in the perfume world? My fragrant friends, I come to you today with an alternative hypothesis. This theory, if I may, has yet to receive any sustained treatment by any of the bloggers I've read, but I am sure that upon reflection you will agree that it has much merit and is in all likelihood true. Let me begin simply, by boldly asserting what many of you have been waiting to hear: Pierre Montale is not the nose behind the illustrious Montale niche perfumes. This is not, however, for want of talent, I hasten to add. The man has in fact had much bigger designs in mind than either you or I might ever have imagined or divined. Mixing together liquids using eye droppers and pipettes in a small laboratory in Paris? No, I'm afraid that Mr. Montale has been spending the best hours of his nights—he sleeps by day—penning the works of one William Shakespeare. That Pierre Montale is in fact William Shakespeare may on its face seem an absurd proposition—and I own that it is. Key phrase: on its face. The trouble, my fragrant friends, is that for far too long you've been attempting to peer into the wrong atelier. You've been imagining a man in a beret mixing liquids into delightful Middle East-inspired oud elixirs. In reality, Mr. Montale, far from being a French man with suspected relatives—whether legitimate or illegitimate—in Grasse, is the Bard of Stratford-upon-Avon. I am well aware that Shakespeare's dates are commonly given as April 26, 1564 – April 23, 1616, but these were fabricated by Mr. Montale, along with all of the names of perfumes in which all of his literary works, attributed to “Shakespeare”, have been encoded. Your skepticism is fully warranted, and indeed praiseworthy, O Gently Scented Reader. 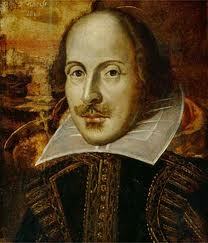 You encountered the works of William Shakespeare long before you sniffed Pierre Montale's perfumes. If Montale is really Shakespeare, then how and, more importantly, why would he not have taken credit for the prodigious oeuvre of the man said to be the greatest writer in the English language? What evidence could I possibly have to back up such an outlandish claim? I am afraid, my fragrant friends, that the evidence is not merely compelling, but overwhelming. Clearly Montale is playing cat and mouse with the reader, teasing him, taunting him to discover the truth that Pierre Montale is really William Shakespeare, and William Shakespeare was not in fact a committee, as scholars have sometimes so vigorously argued. No, William Shakespeare is a complete and utter fiction created by one clever man, Pierre Montale. The virtual existence of Shakespeare has permitted Montale to live off royalties paid into tax-free off-shore bank accounts from which he has drawn the funds needed to remunerate Ammar Atmeh to produce perfume ostensibly on Mr. Montale's behalf and in his name. 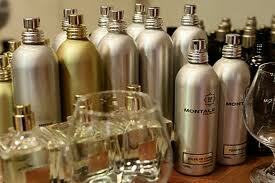 Why has Montale not stepped forward to answer the charges made against him by bloggers all over the world wide web? I sense furrowed brows before me. Inquiring minds are prepared to reiterate and insist: Why not take credit where credit is due? But why, you may continue to protest, should Pierre Montale pretend to be a lowly perfumer, not even considered an artist by contemporary standards, if in fact behind the mask Montale has composed and credited to one William Shakespeare, 38 plays, 154 sonnets, and about 10 other poems? —King Henry IV, Part II, Act III, Scene I). Could a man shamelessly fool all of Western civilization through the perverse fictional creation of what is thought to be the greatest of all fiction writers in the English language? Does not such an act of arrant duplicity and deception assault the basic presuppositions of honesty and trust underlying and essential to peaceful cohabitation in civil society? The common curse of mankind, - folly and ignorance. FABULOUS!!!! Shera ... you're a legend!! 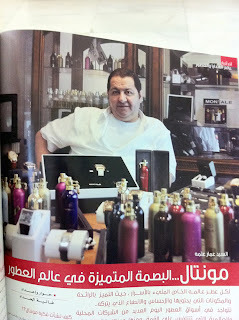 Oh friend, Oh fellow perfumista... do you indeed realise what you have just done? A monster have you created! Many months ago I wrote a post about this mysterious man, either the most manic perfumer of all times or the world's most epic marketing fail. This piece has proven to be "the post that never dies". Almost a year later people come to my blog to read what I wrote day after day with constant interest. This has bored me so much that I even thought of withdrawing it but then I thought it would seem as if I was taking my words back which I don't intend to do. Cursed may you be Pierre Montale!!!! From now and till eternity!!!! A little bird just told me that a new house, that of one "Pierre Mancera" is putting out dozens of high-quality perfume using the Montale logo and the same kinds of bottle!!!!! The two words have the same number of letters!!!!! 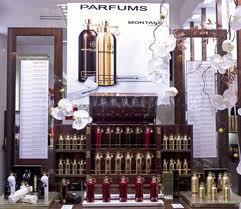 I worked with Montale for almost 2 years in his shop Place Vendôme. He's simply a genious,he's subtel and he's a discret man. A lot of people are circulating rumours about him, it's the price of the mystery, i think. We just love a good mystery, Shakespeare- and of course- a great perfume. Thanks for this love from middle east I have a training tomorrow on this brand and this will help me a lot .